Busbud White Label helps you build your brand with a custom booking solution that is fully-tailored to your site. Our development team will work hand in hand with you to quickly implement a solution that fits your needs and unlocks your traffic’s earning potential. If you want to connect directly to our bus ticket inventory, take a look at the Busbud API. 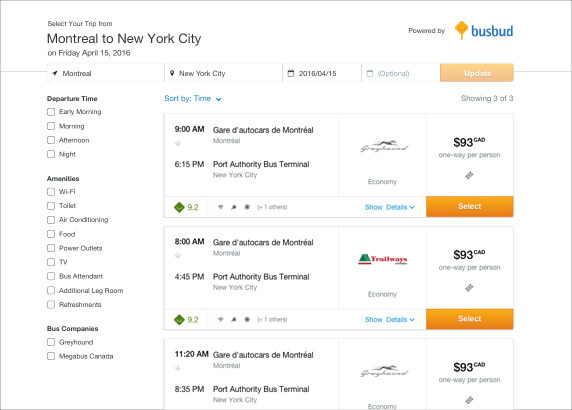 Alternatively, you can build a custom Busbud Widget within a few clicks and instantly add bus search to your site.